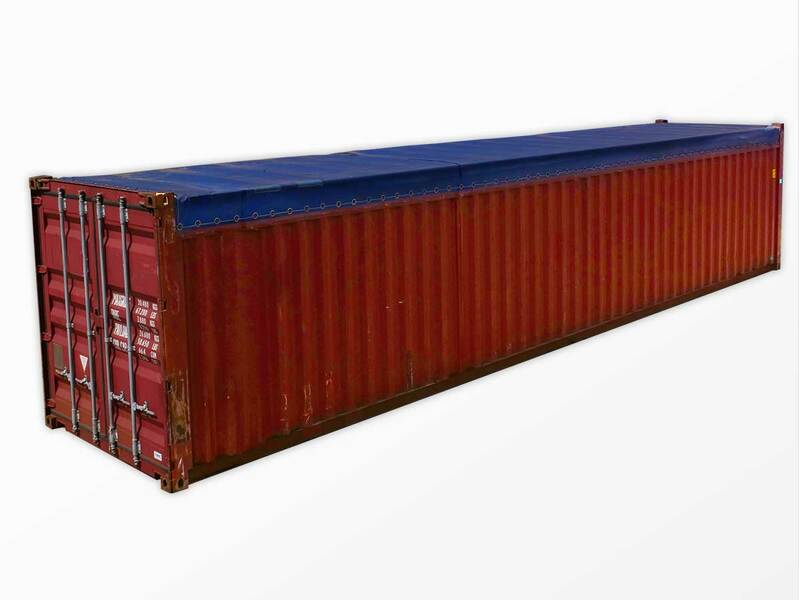 Interport’s 40-foot open-top shipping containers provide convenience and space when items must be loaded and unloaded from the top or are too tall to fit in a standard shipping container. The roof bows and tarpaulin on our 40-foot open-top ISO containers are completely removable and can be securely fastened for a weatherproof seal. Our 40-foot open-top containers offer outstanding value for holding machinery, bulk products, grains, trash, or any other hard-to-load products. Interport offers a large selection of used 40-foot open-top shipping containers, available for immediate sale and next-business-day delivery.